Reflecting on 50 Years of Monterey Jazz The Monterey Jazz Festival celebrates 50 years of great music this weekend. Musician David Was reflects on the festival and reviews a new set of archival Monterey CDs featuring Thelonious Monk, Miles Davis and Dizzy Gillespie. The Monterey Jazz Festival celebrates 50 years of great music this weekend. 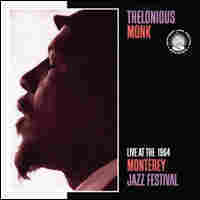 Musician David Was reflects on the festival and reviews a new set of archival Monterey CDs featuring Thelonious Monk, Miles Davis and Dizzy Gillespie.